This article provides information about the Table of Contents form pattern. This pattern should be used when two or more logically related forms are required for setup configuration. The Table of Contents pattern should be used when two or more logically related forms are required for setup configuration. The vertical arrangement of tabs implies the order of completion. This form pattern is also used for collections of unrelated items, such as tab pages that have a different root entity per tab. This form pattern contains a collection of smaller content regions, each of which follows a container subpattern such as Toolbar and List, Nested Simple List and Details, or Fields and Field Groups. The Content Body child container uses dynamic columns for a responsive layout. An optional secondary instruction has been added under the Title Group. Apply the TableOfContents pattern on Form.Design. The form must be referenced by at least one menu item. 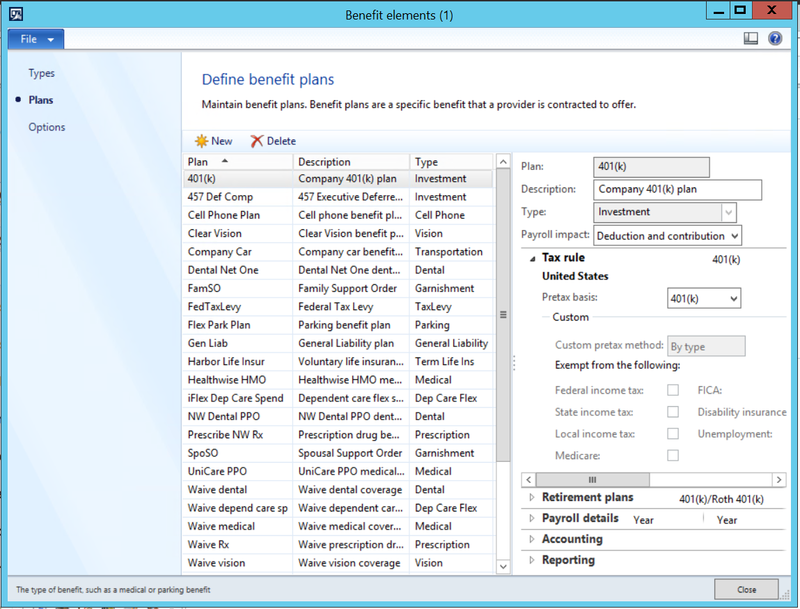 Standard form guidelines have been consolidated into the Microsoft Dynamics AX General Form Guidelines document. The supplemental instruction, if it's shown, is composed of a complete, concise sentence in sentence case and has end punctuation. TOC tabs should appear in the same sequence that is typically used to enter information. The first tab in the list should be highlighted when the form is opened, unless the form is opened in the context of a specific task from another form. The content area for the TOC content should primarily be one of three patterns: Simple List, Simple List and Details, or Simple Details. Simple List content should follow the subpattern guidelines. Simple List and Details content should follow the Nested Simple List and Details subpattern guidelines. 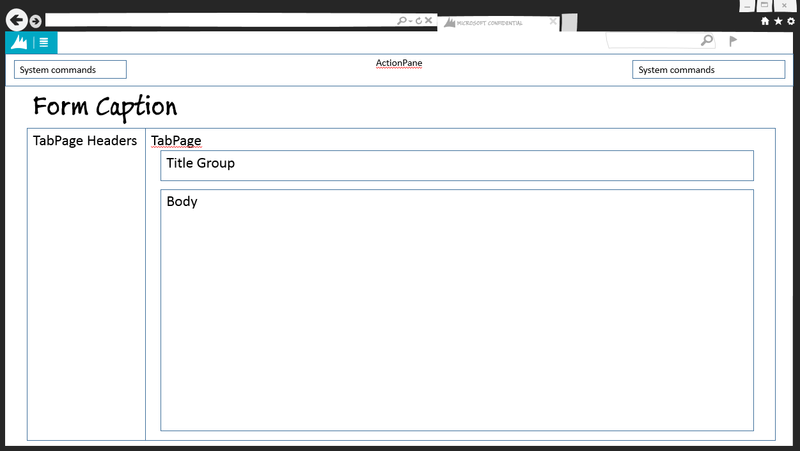 Simple Details content should follow the Toolbar and Fields subpattern guidelines. 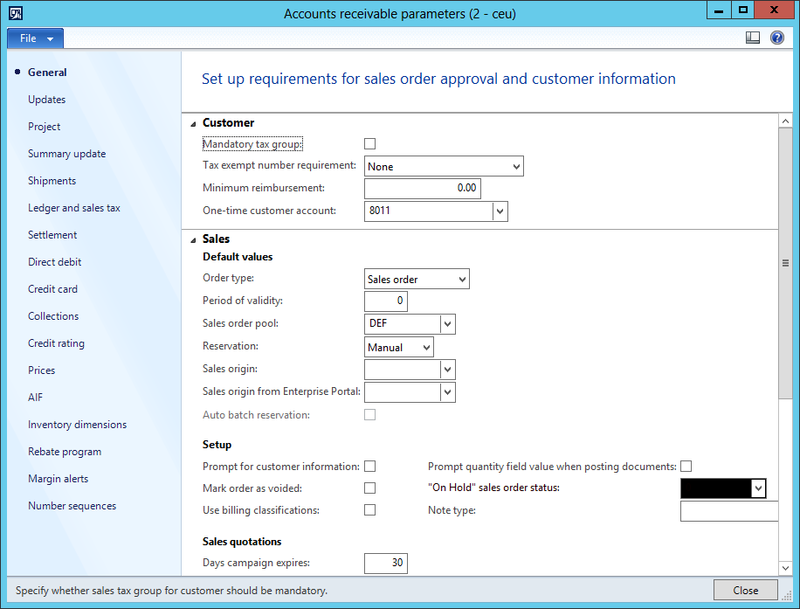 FastTabs should follow the FastTab guidelines in the Dynamics AX General Form Guidelines document. Actions appearing on a Toolbar on a tab page. Standard tabs on a TOC tab page. What do I do with ‘Global’ buttons? On the tab page that the action is most closely related to. If a place doesn’t exist, on a toolbar on the first tab page of the pattern.